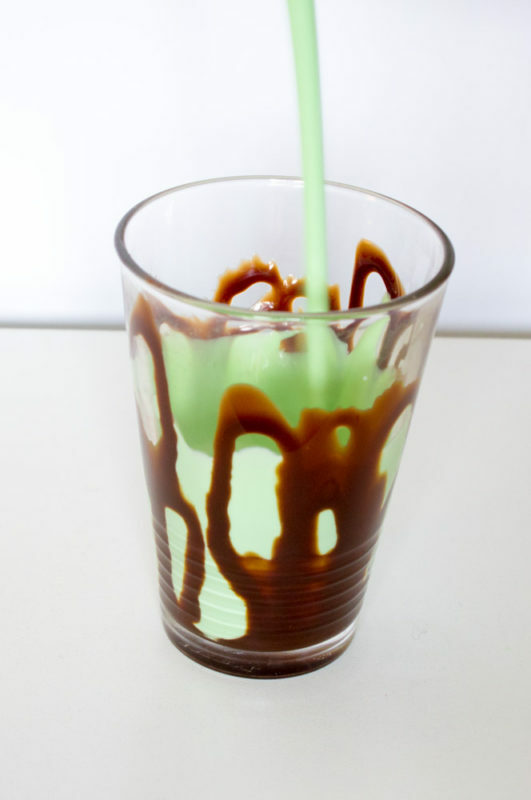 In the mood for an adult version of the shamrock shake? 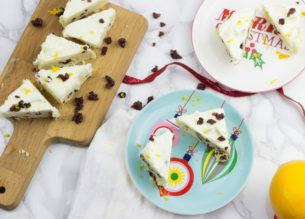 This recipe is for you! Go a step further and stack up a freakshake with all your favorite treats! Shamrock Shakes are back and I am one happy camper. Okay, maybe thats a lie… but I’m close! One of the many joys of being an adult is the addition of alcohol to otherwise normal foods. Like Cupcakes or coffee. Because YUM! So of course I had to present you with the wonders that is the boozy shamrock shake! Even better…. I made it into a freakshake! 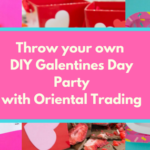 This project is intended for makers ages 21+. If you are under the age of 21, please omit the alcohol. I’m sure a lot of you are asking what exactly is a freakshake? Well… its kind of like a milkshake that’s been turned up to 11 or maybe 111. You know… somewhere in between. It’s where you take whatever drink you like and load it with all the tastiness of foods that compliment it. And let me tell you, it is a total feast for the eyes and the stomache. Just make sure to share with a friend because you’ll both be in a sugar coma after eating one. Lucky Charms or just the marshmallows! Any other toppings you want to put on! Adult meter: 5 – it’s like adult meets inner child? To create a Freakshake, start by grabbing all of your favorite things. Like cupcakes, brownies, all things sugar. You know the drill. 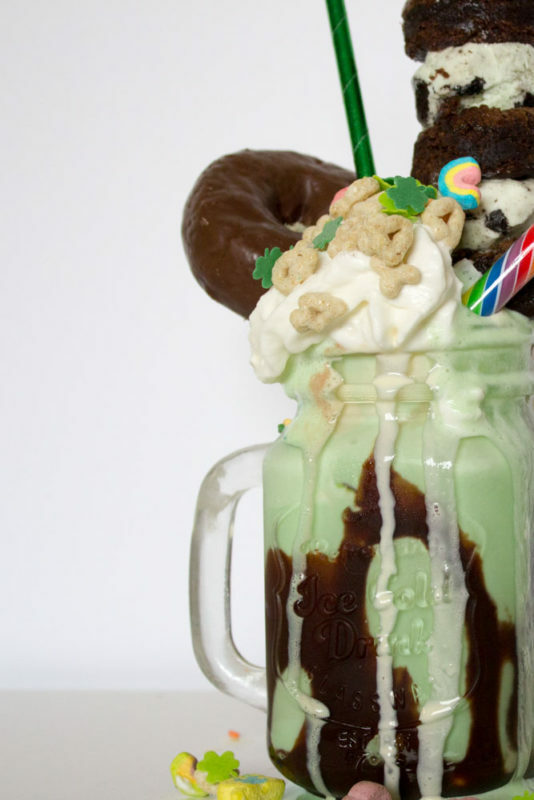 Since this is a Shamrock Shake freakshake, you’ll want to grab things that go well with the mint flavor. You can also make this St. Patrick’s themed by adding some lucky charms and fun rainbow swizzle sticks…. because more is more you know! Once you’ve decided what you want on it and gotten all of the items together, the freakshake is super easy! 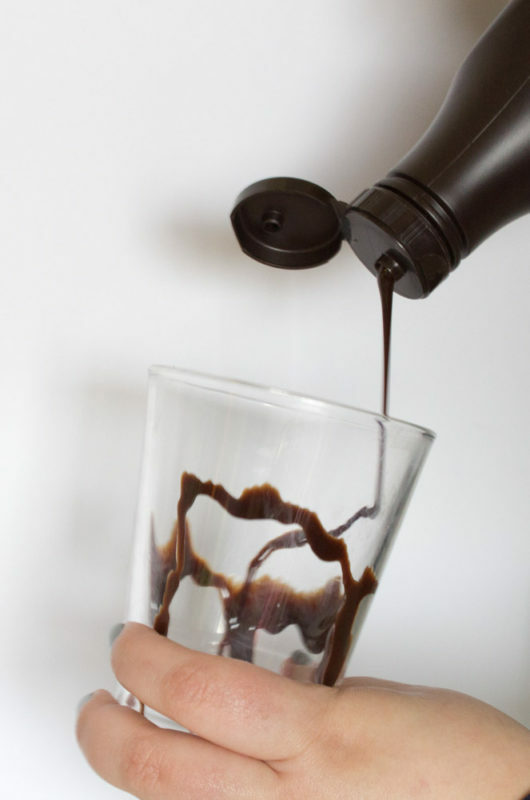 Swirl your empty glass with chocolate syrup. 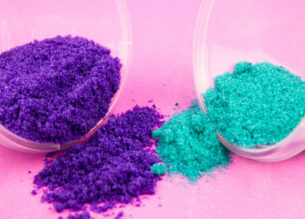 Use small candies to create a base. I used mint sixletts! Start with the larger items to artfully stack your items to make a crazy awesome shake. Using the pocky as a skewer, I layered brownie bites and ice cream for a fun brownie kabob! Then I added an entire donut, rainbow swizzle sticks, whipped cream, rainbow sprinkles and Lucky Charms. Sound crazy? Yep! Sound delicious? You bet! 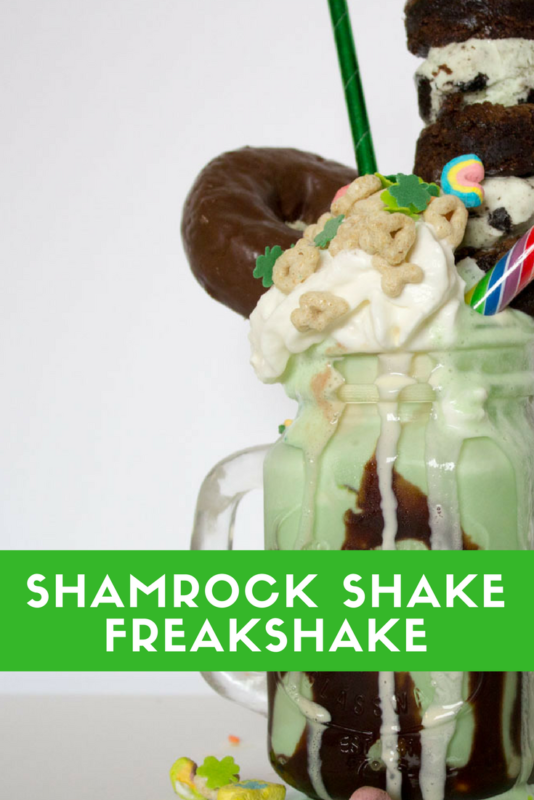 Experiment and see what else you can add or how high you can stack your shamrock shake freakshake! Share it with friends for a ridiculously awesome St. Patrick’s Day party! Are you in love yet? On sugar overload? 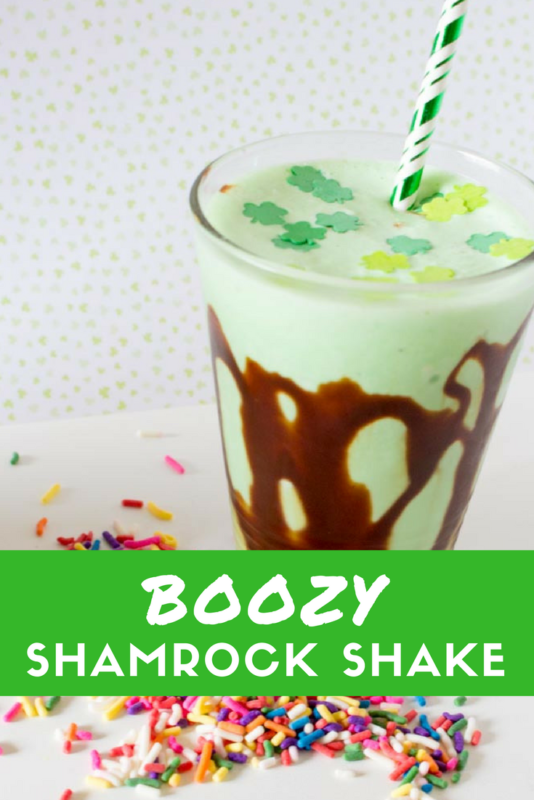 If you love “grown up” boozy shamrock shakes and freakshakes, don’t forget to pin this to your sweets or St. Patricks Day board. Love the freak shake~ Thanks for sharing on the What’s for Dinner Link up! That looks so cute and damn good! This is freaking amazing! First off, the pictures are awesome. I want to reach in my screen and pull that drink out. 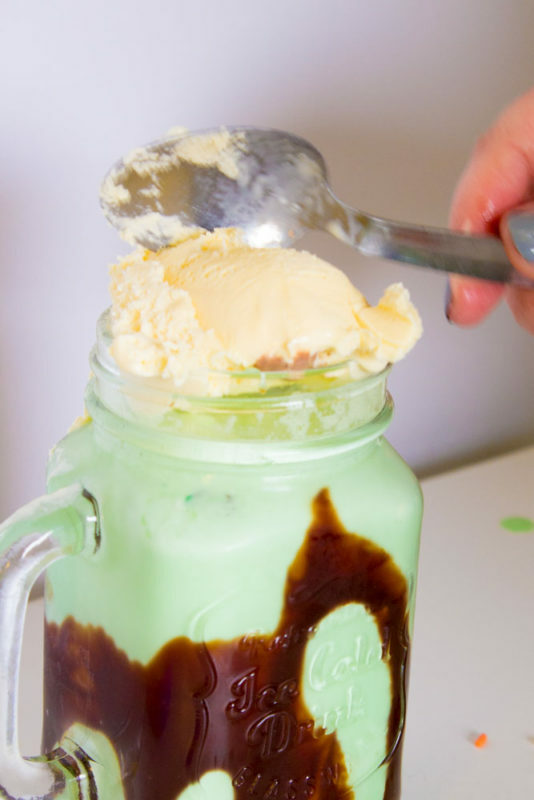 What mom doesn’t need a boozy shamrock shake…I mean really! 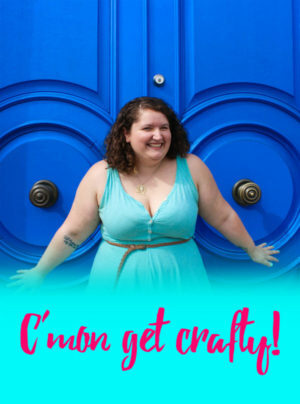 Also, I adore your blog name and the vibe on your blog. You are rocking this! Great job! I am definitely sharing this on pinterest (I am sorta a pinning junkie 🙂 ) Happy Friday! 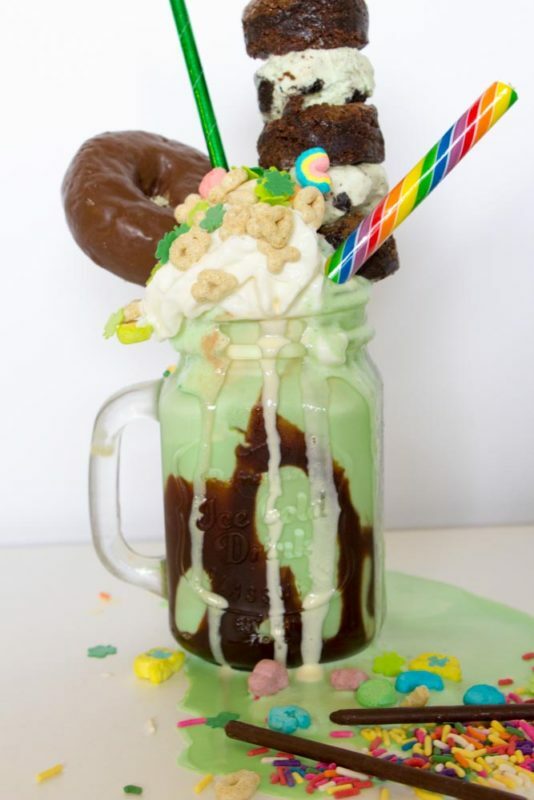 I’ve been seeing a lot of these freakshakes and now I really want to try one for myself! Especially a boozy one! Ice cream + alcohol = the perfect combo. Thanks for linking up with Merry Monday; I’m featuring your freakshake at this week’s party, which goes live Sunday night. 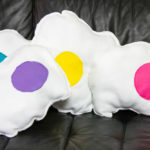 Hope you’ll stop by and link up again! 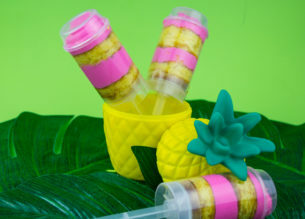 Looks tasty and fun! Thanks for sharing with us at Funtastic Friday! What a great shake! 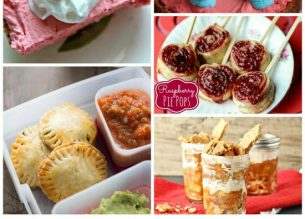 Thanks so much for sharing your awesome recipe with us at Full Plate Thursday. Hope you are having a great day and come back to see us real soon!